AECOM Technical Services, Los Angeles, Calif., (W911SR-16-D-0022); Booz Allen Hamilton, McLean, Virginia (W911SR-16-D-0023); National Defense Energy & Environmental Alliance LLC, Aberdeen, Maryland (W911SR-16-D-0024); and Noblis Inc., Falls Church, Va., (W911SR-16-D-0025), were awarded a $122,500,000 cost-plus-fixed-fee, indefinite-delivery/indefinite-quantity multiple award task order contract with options to support the National Defense Center for Environmental Excellence primarily to demonstrate, validate, and transition technologies to address Department of Defense environmental, safety, occupational health and energy needs.. Bids were solicited via the Internet with four received, with an estimated completion date of Oct. 19, 2021. Funding and work location will be determined with each order. Army Contracting Command, Aberdeen, Md., is the contracting activity. AECOM Technical Services Inc., Los Angeles, Calif., was awarded a $10,000,000 firm-fixed-price, indefinite-delivery/indefinite-quantity contract for architectural and engineering services to support the Army Medical Command within the South Atlantic Division of the Army Corps of Engineers. Bids were solicited via the Internet with 34 received, with an estimated completion date of April 18, 2021. Army Corps of Engineers, Mobile, Ala., is the contracting activity (W91278-16-D-0050). Bell Boeing Joint Program Office, California, Md., is being awarded $55,000,000 for modification of delivery order 0006 to previously awarded contract N00019-09-D-0008 for the repair of various parts on the V-22 aircraft. Work will be performed in Fort Worth, Texas, (80 percent); and Ridley Park, Penn., (20 percent), and will be completed by December 2017. Fiscal 2016 working capital funds (Navy) will be obligated at time of award, and funds will not expire. One firm was solicited for this sole-source requirement, and one offer was received under authority 10 U.S. Code 2304 (c)(1). Naval Supply Systems Command Weapon Systems Support, Philadelphia, Penn., is the contracting activity. Rolls Royce Marine North America, Walpole, Mass., is being awarded a $7,249,356 firm-fixed-price contract for the manufacture of littoral combat ships’ ancillary parts kits. All work will be performed in Walpole, Mass., and is expected to be completed by April 2019. Fiscal 2015 other procurement (Navy) funds in the amount of $7,249,356 will be obligated at time of award, and funds will not expire at the end of the current fiscal year. One firm was solicited for this non-competitive requirement, and one offer was received in accordance with Federal Acquisition Regulation 6.302-1. Naval Supply Systems Command Weapon Systems Support, Mechanicsburg, Penn., is the contracting activity (N00104-16-C-FA34). NDI Engineering Co., Thorofare, N.J., is being awarded a $17,777,138 cost-plus-fixed-fee, indefinite-delivery/indefinite-quantity contract for technical services in support of the Naval Air Warfare Center Aircraft Division’s Prototype Manufacturing Department (AIR-4.8). 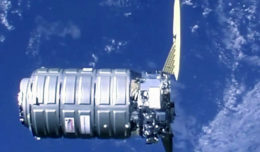 Services to be provided include test operations support; engineering investigation support; prototyping; producibility engineering; contract data package review; technical manual review; installation of aircraft launch and recovery equipment and support equipment systems; reverse engineering; quality assurance; and assembly manufacture and hardware. Work will be performed at the Naval Air Warfare Center Aircraft Division, Lakehurst, located at Joint Base McGuire-Dix Lakehurst, N.J., and is expected to be completed in April 2021. Fiscal 2016 working capital (Navy) funds in the amount of $729,600 will be obligated at time of award, none of which will expire at the end of the fiscal year. This contract was competitively procured via a request for proposals as a 100 percent small business set aside; one offer was received. The Naval Air Warfare Center Aircraft Division, Lakehurst, N.J., is the contracting activity (N68335-16-D-0020). BAE Systems Land & Armament LP, York, Penn., was awarded a $109,715,382 modification (P00009) to contract W56HZV-14-C-0298 for 36 M88A2 Heavy Equipment Recovery Combat Utility Lift Evacuation System (Hercules) vehicles, and authorized stockage list spares. Work will be performed in York, Penn., with an estimated completion date of Aug. 31, 2018. Fiscal 2016 other procurement (Army) funds in the amount of $109,715,382 were obligated at the time of the award. Army Contracting Command, Warren, Mich., is the contracting activity. Gardner Zemke Co., Albuquerque, N.M., was awarded a $13,145,132 firm-fixed-price contract with options to design and construct a TA-3 electrical substation, Los Alamos National Laboratory, N.M., with an estimated completion date of May 1, 2018. Bids were solicited via the Internet with nine received. Army Corps of Engineers, Albuquerque, N.M., is the contracting activity (W912PP-16-C-0004). Mira Facilities Management2 LLC, El Paso, Texas, (W912BV-12-D-0024 MOD NO: P00003); QRI-GMI JV, Baton Rouge, La., (W912BV-12-D-0025 MOD NO: P00003); and Stell Environmental Enterprises Inc., Elverson, Penn., (W912BV-12-D-0026 MOD NO: P00003), were awarded a $12,000,000 modification for environmental projects, Southwest Division, Army Corps of Engineers, with an estimated completion date of April 23, 2018. Army Corps of Engineers, Tulsa, Okla., is the contracting activity. G&G Steel Inc., Russellville, Ala., was awarded an $11,770,060 firm-fixed-price contract with options to fabricate and deliver miter gates, spare parts and valves for the Holt Lock and Dam, Alabama, with an estimated completion date of July 10, 2019. Bids were solicited via the Internet with two received. Fiscal 2016 other procurement funds in the amount of $11,770,060 were obligated at the time of the award. Army Corps of Engineers, Mobile, Ala., is the contracting activity (W91278-16-C-0011). Rockwell Collins Inc., Cedar Rapids, Iowa, has been awarded a $83,000,000 indefinite-delivery/indefinite-quantity contract for Common Range Integrated Instrumentation System (CRIIS) modification, integration and support. This contract provides for modification, integration, and support of the CRIIS, including design, development and testing of system and block upgrades. The location of performance is Cedar Rapids, Iowa. The work is expected to be completed by April 18, 2021. This award is the result of a sole-source acquisition. No funds are being obligated at the time of award. Air Force Life Cycle Management Center, Eglin Air Force Base, Fla., is the contracting activity (FA8678-16-D-0048). Lockheed Martin Corp., Marietta, Ga., has been awarded a $61,295,562 modification (P00011) to previously awarded contract FA8625-14-C-6450 for production of HC-130J configuration. Work will be performed at Marietta, Georgia, and is expected to be complete by March 29, 2019. Fiscal 2016 Coast Guard aircraft procurement funds in the amount of $61,295,562 are being obligated at the time of award. Air Force Life Cycle Management Center, Wright-Patterson Air Force Base, Ohio, is the contracting activity. UPDATE: Suhail/RW Armstrong Mentor-Protégé JV, Chagrin Falls, Ohio, has been awarded a contract on a previously announced indefinite-delivery/indefinite-quantity contract with a combined program ceiling of $950,000,000 for design and construction services. Contractor will provide Architect-Engineering 2013 (A-E13) design and construction service including A-E services to support sustainment, restoration and modernization (SRM) programs. The work includes efforts to perform Title I, Title II, and other A-E services to administer, coordinate, and technically support the Air Force Civil Engineer’s SRM program areas. Work will be performed at various government locations in the U.S., and is expected to be complete by April 17, 2023. This award is the result of a competitive acquisition with 83 offers received. Fiscal 2016 operation and maintenance funds in the amount of $3,000 are being obligated at the time of award. Future awards will be added to this combined contract. Air Force Installation Contracting Agency, 772nd Enterprise Sourcing Squadron, Joint Base San Antonio-Lackland, Texas, is the contracting activity (FA8903-16-D-0008). 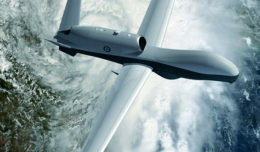 Northrop Grumman Systems Corp., Aerospace Systems, Melbourne, Fla., is being awarded a $28,446,240 modification to a previously awarded, fixed-price-incentive, firm target contract (N00019-13-C-9999) for material and supplemental support of the E-2D Advanced Hawkeye Delta System Software Configuration 2 Suite. Work will be performed in Marlboro, Mass., (60.8 percent); Melbourne, Fla., (17.8 percent); Syracuse, N.Y., (10 percent); Hayward, Calif., (5 percent); Baltimore, Md., (5 percent); Bethpage, N.Y., (.8 percent); and St. Augustine, Fla., (.6 percent), and is expected to be completed in September 2018. Fiscal 2014 aircraft procurement (Navy) funds in the amount of $28,446,240 are being obligated at time of award, all of which will expire at the end of the current fiscal year. The Naval Air Systems Command, Patuxent River, Md., is the contracting activity. Boeing, St. Louis, Mo.,, is being awarded a $27,761,364 modification to exercise an option to delivery order 0046 previously issued against basic ordering agreement N68335-10-G-0012. This option provides for the production, verification, and delivery of the test program sets (TPS) produced for the EA-18G Growler Airborne Electronic Attack suite. The TPSs will provide support for the EA-18G Growler. Work will be performed in St. Louis, Mo., and is expected to be completed in February 2019. Fiscal 2016 aircraft procurement (Navy) funds in the amount of $27,761,364 will be obligated at time of award, none of which will expire at the end of the current fiscal year. The Naval Air Warfare Center Aircraft Division, Lakehurst, N.J., is the contracting activity. Sikorsky Aircraft Corp., Stratford, Conn., is being awarded a $25,000,000 advance acquisition contract for the long lead items in support of low-rate initial production Lot 1 of two CH-53K aircraft. Work will be performed in West Palm Beach, Fla., and is expected to be completed in October 2021. Fiscal 2016 aircraft procurement (Navy) funds in the amount of $25,000,000 will be obligated at time of award, none of which will expire at the end of the fiscal year. This contract was not competitively procured pursuant to 10 U.S. Code 2304(c)(1). The Naval Air Systems Command, Patuxent River, Md., is the contracting activity (N00019-16-C-0048). Coherent Technical Services Inc., Lexington Park, Md., is being awarded $20,471,350 for modification P00005 to a previously awarded cost-plus-fixed-fee contract (N66001-13-D-0107) to exercise an option for emerging navigation technology engineering services for air and shipboard command, control, communication, computers and intelligence, surveillance, and reconnaissance (C4ISR) capabilities. Work will be performed in San Diego, Calif., (80 percent); Los Angeles, Ca;of/. (10 percent); and Lexington Park, Md., (10 percent), and is expected to be completed April 17, 2018. Fiscal 2016 research, development, test and evaluation funds in the amount of $20,471,350 will be obligated on this modification, and contract funds will not expire at the end of the current fiscal year. The original contract was competitively procured via publication on the Federal Business Opportunities web site. The Space and Naval Warfare Systems Center Pacific, San Diego, Calif., is the contracting activity. Huntington Ingalls Inc., Newport News, Va., is being awarded a $20,000,000 modification to previously awarded contract N00024-13-C-2108 for additional planned supplemental work for the Refueling Complex Overhaul of USS Abraham Lincoln (CVN 72). This modification will provide for additional effort to respond to mandatory and essential growth work performed during the accomplishment of the overhaul, modernization, repair, maintenance, and refueling. This additional effort will ensure that the ship is returned to the fleet fully mission-capable at redelivery. Work will be performed in Newport News, Va., and is expected to be completed by November 2016. Fiscal 2014 shipbuilding and conversion (Navy) funding in the amount of $20,000,000 will be obligated at time of award. Contract funds will not expire at the end of the current fiscal year. 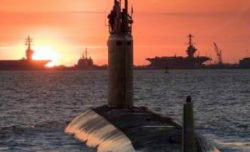 The Naval Sea Systems Command, Washington, D.C., is the contracting activity. IPC, Irvine, Calif., has been awarded a minimum $14,536,843 modification (P00001) to a 41-month contract (SPE600-16-D-4539) adding additional money and points of delivery for ultra-low sulfur diesel fuel. This is a fixed-price with economic price adjustment contract. Locations of performance are California, Arizona and Utah, with a Sept. 30, 2019, performance completion date. Using customers are federal civilian agencies. Type of appropriation is fiscal 2016 through fiscal 2019 defense working capital funds. The contracting activity is the Defense Logistics Agency Energy, Fort Belvoir, Va.
Brad Hall and Associates Inc., Idaho Falls, Idaho, has been awarded a minimum $10,435,528 modification (P00001) to a 41-month contract (SPE600-16-D-4547) adding additional money and points of delivery for various types of fuel. This is a fixed-price with economic price adjustment contract. Locations of performance are Idaho, Nevada and Utah, with a Sept. 30, 2019, performance completion date. Using services are Army, Navy, Air Force, Marine Corps and federal civilian agencies. Type of appropriation is fiscal 2016 through fiscal 2019 defense working capital funds. The contracting activity is the Defense Logistics Agency Energy, Fort Belvoir, Va..